With the Popularity of Feather Hair Extensions, Hair Royalty created a new Line of Hair Extension Products called LockStarz. After finding out more than 1,500 Roosters were being killed weekly at one USA farm alone, Hair Royalty decided to create an alternative. In order to curve the Animal Cruelty and supply a market with major shortages of the “real rooster” feather, Hair Royalty has seen a major increase in Alternative Rooster feather hair extension sales. They have designed a humane, cruelty-free and environment friendly alternative. They commissioned an animal cruelty free and humane manufacturing partner to create a “grizzly rooster pattern” hair extension. 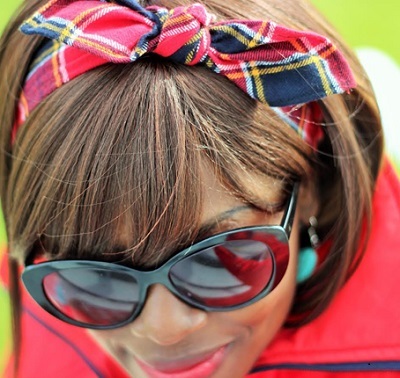 These are made from a hybrid synthetic hair extension. A great alternative to the killing of roosters, don’t you think? The Low Down on Vitamins in Your Skin Care! Vit A: Great for fine lines & wrinkles. Synthetic Vit A compounds (like Tretinoin) help treat acne conditions. Vit C: (L-Ascorbic acid) Remember..Vit C=Collagen! Vit C has the ability to enhance the synthesis of collagen. It also aids in repairing sun damage & discoloration (also good for dark circles). Vit C plays an important role in healing skin and is a GREAT antioxidant to help combat free radicals. So note that Vit C Repairs, Protects & Promotes healthy skin! Vit D: Also known as the “sunshine” vitamin! It is formed in the body in part by interaction with the sun light and is also antioxidant. Vit E: Powerful antioxidant that helps in repairing dry, rough skin. Vit E is used more & more now with preventing skin damage. Vit K: Helps with spider veins & under eye dark circles. How so? Topical Vit K enters deep to the damaged capillary (or artery) to help clot the blood. This helps stop any seepage(usually the cause of dark circles) & allows the tissue to heal itself. 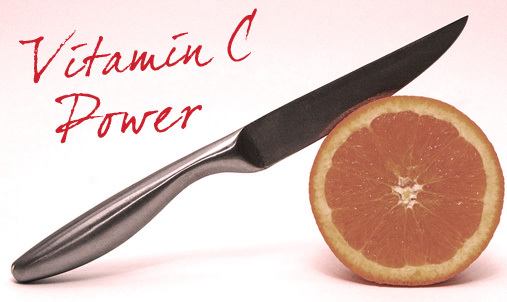 Combine Vit K & Vit C for an extra power punch for dark circles! Take this handy cheat sheet with you the next time you make your next Fountain of Youth purchase! 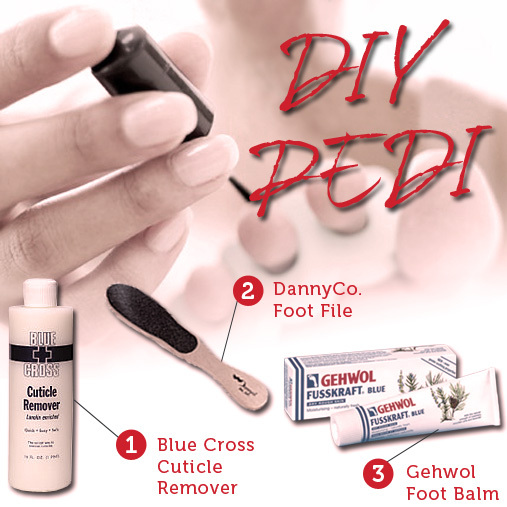 DIY At-Home Pedicure: Quick and Simple Sandal-Ready Feet for Summer! It’s summertime ladies, and you know what that means: it’s time to get our twinkle toes in tip top shape! Now I know not everyone has the time (or money) to spend on a luxury spa pedicure, especially with all those beach picnics, concerts in the park and backyard barbecues you have scheduled this season. So I put together some of my favorite tips for the ultimate spa soft feet at home, all you need is a few essentials and you’re ready to rock those sleek summer sandals.